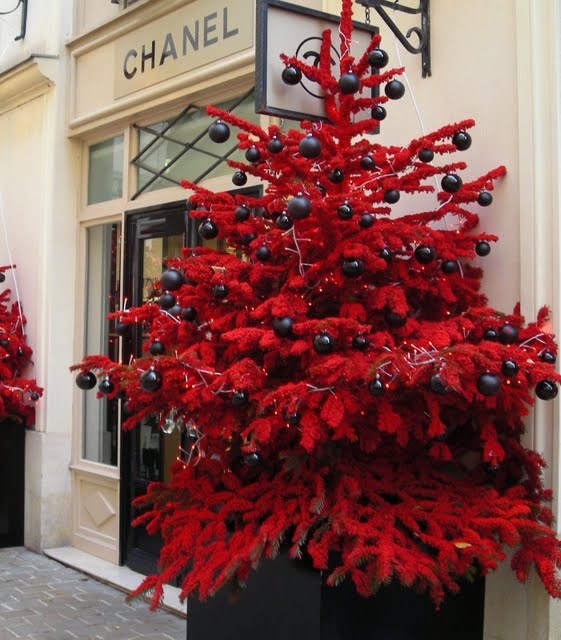 I absolutely adore these red and black Chanel Christmas trees. What a creative idea. Christmas trees can easily be flocked using spray paint.